Our client testimonials and industry accreditation are proof that The Health Linc is the most trusted specialist healthcare practice broker in Western Australia. I have known Brad for many years first in the capacity of a Finance Broker and in the last few years as a Business Broker. In the latter capacity, we have discussed my exit strategy for my dental practice. While initially the discussions were in the planning of my exit, the advice from my doctors that I needed Coronary Bypass surgery brought forward the decision to sell. During this stressful time, Brad was excellent in providing step by step guidance in the process of selling. All the necessary forms to deal with the authorities and utilities were given in a timely manner.By the time of my surgery, everything was in place. He took the first potential buyers through the practice on the day of my hospital admission. By the time I was discharged a week later, the first offer was presented. Although this offer didn’t eventuate, he had a second buyer already waiting and the sale was finalised without too much of a delay. Brad was very professional and prompt in all his dealings and I was happy with the outcome. I would like to thank Brad for the courteous and efficient way in which he handled the recent sale. Potential buyers [of my North Perth medical practice] were carefully screened to my specific requirements for an owner occupier purchaser. I am completely satisfied with the outcome and would not hesitate to recommend Brad to any future client wishing to buy or sell a practice. The Health Linc helped me purchase a local dental practice whilst I was still residing overseas a few year ago. Brad guided me through the entire process, ever mindful of the technical and emotional rollercoaster ride that these events present especially with me not being available in Perth. I have been impressed by the level of professionalism, integrity, confidentiality and the speed at which the purchase occurred so much so, that I used the Healthlinc in the sale of a practice recently. Not only was the sale carried out in the same manner, but Brad kept me up to date through the entire process. I would highly recommend using Brad to anyone selling or buying a practice in Western Australia. Brad, You were brilliant in being the buffer between me and the prospective buyer. Without you there I probably would be bald – and I have a lot of hair!! I feel you understood my point of view and value system extremely well, I felt supported. Much obliged to you for your professional yet personal service. I engaged Brad’s services as a facilitator for the sale of my dental practice in the northern suburbs. He not only accurately appraised the true worth of the business but exercised a high level professionalism at all times. He acted diligently and with discretion as required in any business transaction whilst keeping me well informed of any developments. He was always on hand and easily contactable to answer any queries as they arose. I have no hesitation in recommending his services to any prospective clients. Thank you for your most efficient assistance with the sale of our practice. So far all is just as we had hoped and indications are that things will continue similarly. The Verve was a nice touch and very much enjoyed. Thanks Brad for your help in the recent sale of my dental practice. It was definitely the right move to call Health Linc when we were approached to sell – even though the Practice wasn’t on the market at the time! When chatting to colleagues who had recently sold their practices – they recommended you – we now know why and would definitely do the same to others. Prompt, personable and practical – with a good dose of humour. 7 star service- always available to assist including additional sources of advice. A great experience! Thank you. PS – ‘ people won’t remember what you said but they will remember how you made them feel’ – as the song goes – we’re feeling good!!! After spending a lot of time and money trying to sell our country house and dental clinic we kept getting the wrong people showing interest. This time last year we approached Brad to sell it for us, and now 1 year on, we are settling the whole lot to a wonderful dentist with family who will enjoy country living and keep servicing our patients. I have had cause on two occasions to utilise the services of Mr. Brad Potter in the sale of two of my Physiotherapy Practices. My dealings with Brad have always been most satisfactory on all levels. His personal touch and excellent communication have always kept me exceedingly well informed throughout the selling process. Brad never fails to alleviate the inevitable stress that occurs when selling a business that you have nurtured and grown to become a saleable item. I initially contacted Brad following a word of mouth referral from another satisfied business owner and found Brad to be approachable, efficient and of great assistance to a first time vendor. Brad worked hard to attain the best possible outcome for me and my business when dealing with prospective clients and maintained a relaxed professionalism that I admire. All businesses grow and once they are “finished” should be sold as the profitable entities that they are. I will be calling upon his services in the near future when my current practice reaches its potential. After 30 years, selling “my baby” was a big deal to me. What I didn’t expect was to have someone of your calibre to guide me through. The way you helped me and conducted yourself was amazing. You knew when to offer your opinion and when not too. Your knowledge of the dental industry was outstanding and your willingness to pass this on freely was refreshing. You were not pushy and accepted my constant questions with aplomb. Thus I was well informed in my decision making and the process was done with precision. I feel fortunate that I had you overseeing the whole process. Brad Potter showed an astute understanding of my situation and requirements regarding the urgent sale of my General Practice. Thanks to his initiative and enthusiasm a very satisfactory outcome was achieved with sale of the business within two weeks of our initial discussions. Outstanding! I am sure that by now you would have read many testimonials on how effective and efficient Brad Potter is, and have little doubt in your mind that he is reputable business broker. After all, he is one of the best. However, I am here to share my tale of what happens when a business sale does not go to plan. Selling my practice was a daunting task for me. I didn’t know where to begin, except that I knew I needed assistance. Through word of mouth recommendation, I contacted Brad Potter from the Health Linc over 3 years ago, and we started the process. Along the way, the business partnership fell apart and there were many stumbling blocks to the sale. I must stress that none of this had to do with Brad but rather, circumstances out of our control. Throughout this extended process, Brad was outstanding. He was patient and professional, and understood when we had to delay, and eventually cancel the practice sale. We parted on good terms. I am happy to say that though it has been a long time coming, when we tried to sell the practice again 3 years later, it was a success. We asked Brad again to help with this, and he achieved a fantastic result, with a purchase price higher than asking, and quickly to boot. Once again, a big thank you and if we are in need of a broker in the future we know who to call! We engaged the services of Brad from The Health Clinic to sell our two practices. From the outset Brad delivered on his promise to promote and sell the practices. He is very well known and connected in WA and has a very wide network. Brad is not just a broker; he’s a mediator, negotiator, run around person and all in good guy. He goes above and beyond what we ever expected. There were some complications that we never even knew about as Brad fixed them before they became a huge issue. Brad’s professionalism and effort in selling our practices were second to none. We could not recommend Brad highly enough if you want your practice sold. Thank you very much for your assistance with the sale of our surgery. I am well aware that the process was protracted and difficult. Your handling of all matters was professional and efficient and reduced our stress levels enormously. Your friendly and easy going manner made it a pleasure to do business with you. I have no hesitation in recommending your services to my colleagues. Now that we have had a chance to draw breath after the last few months and conclusion of the sale, I would like to thank you for your services and achieving the end result that we are happy with. We wish you all the very best in your future endeavours. I write to you in your role as principal of the Health Linc to complement you on the way in which you have managed the sale of my practice. As we already had an intended purchaser I contacted you to facilitate the negotiation and to provide a appropriate documentation and guidance. Having reached the end stages of the process I can reflect on what has been a smooth and stress free transfer where the value of the service far outweighs the cost. I appreciate your relaxed professionalism and the thoroughness that your years of experience have brought to achieving our ambition of a change of ownership based on fairness and maintaining good relationship with the purchaser. I wish you continuing success and would unreservedly recommend that anyone considering the sale of a practice should contact The Health Linc for advice. Thank you Brad for the amazing result on the sale of our “non preferred provider” dental practice. Our brief to Brad was to find someone who may be suitable to take on the practice that we had built and cherished for 17 years. Within two weeks Brad had his first potential buyer who we thought was somebody we could see either working with us or taking the loyal patient base we had developed. Within a week and whilst the first potential buyer was considering their options Brad presented another person who made an offer the next working day after viewing our practice. The transition from acceptance of the offer to after the settlement was smooth and seamless with Brad being available at any time if required. We cannot thank Brad enough for his professionalism and dedication to see us not only get the right purchaser for practice but for selling it in such a quick time for the price we had discussed. I would like to take this opportunity to thank you for making the sale of my veterinary practice a smooth and stress-free process. From the start you showed professionalism, enthusiasm and supreme efficiency. With your knowledge of the veterinary industry and your contacts you were able to find a buyer in a very short time. With your many years of experience I was confident in your ability to handle all the negotiations and the paper-work, to allow the sale to proceed in a timely and competent manner. When I am thinking of selling my practice. I have asked a few people and they all said the same things that I must see Brad. He knows everything about the sale and you would not waste your time or be disappointed… Really appreciate all you very kind support through this sale. I will highly recommend you to anyone in this business. It is with pleasure I submit a testimonial for Brad Potter, of The Healthlinc. As the sole female director, I started my fledging business 15 years ago as a recruitment agency in the health arena. Wesley quickly developed 3 core areas of business, HR, Training and Information Technology. It has been an amazing journey watching a ‘good idea’ blossom into a vibrant and successful business. I initially met with Brad 18 months before I actually sold Wesley IT – to broach the sensitive subject of selling a part of Wesley. I didn’t really know to how to process this conclusion I had arrived at, but looking back, my chats with Brad then were invaluable. Brad has a unique way of letting you know ‘he gets your situation’ (which really creates the trust in the relationship and your own journey). Brad offers just the amount of ‘validation’ of your decision emotionally (without being emotional). Looking back, one of the best thing Brad did then was give me permission for selling a part of Wesley, that it was ok – then moved forward with professional and rational solutions which made me feel I was in safe hands. My emotional attachment to Wesley meant that I continued to process these things while beavering on. A year later, I was able to pick up the phone to Brad – and say .. ‘Brad .. it’s time’. Brad came to my office and trust already having been established, we quickly moved to the details of making it happen. As my overall business by this stage, had become more complex in the way each division was integrated with the other (both operationally and financially), my over-riding feeling at this point, was how I would communicate this part of the business and what it meant – pulled apart from the other aspects of my business. This was the time to get into the nitty gritty of valuing Wesley and what the division meant as a stand- alone product. Knowing my business intimately, I was truly impressed the way I was able to dialogue the various elements of Wesley, and how quickly Brad ‘got it’. We tossed ideas quickly back and forth and very quickly Brad’s direction assisted coming to a conclusion that I knew was correct and sat well with me. Honestly, I was in awe how Brad really understood the essence of the business and how to interpret it that way, so quickly. But Brad did – and I was very comfortable in moving forward knowing someone understood both me and the business and would action things appropriately. From this point – things moved quite quickly. Brad approached potential purchasers in the market place. These dialogues were very constructive and effective. An interested buyer was evident, and from this point, I was again impressed at the way Brad navigated the questions and journey of the buyer (as they have their own journey too!) towards a final sign off. It was a surprise to me the ‘emotion’ I felt at this stage (sign off time). All parties met at Brad’s office, and again the transition was handled with professionalism, humour and enough engagement and humanity to make you feel you had made the right decision and life was good. During the process of hand-over – Brad checked in and at this stage I realised how efficient, organised and process driven Brad also is. I have never had the occasion to ‘ring Brad’ – because he would always ‘ring you’ first! Brad is on top of things and doesn’t wait for something to be overdue – he rings first to make sure you have it either covered, or to offer his assistance. So – Brad assisted us with the important aspects of a good handover, mentored and when things were going very well between the purchaser and myself, he allowed us to communicate in our own way all the while either monitoring the ‘open communication’ or being available to help as required. I felt the sale of something very personal to me, was handled with professionalism, expertise with a good dash of humour and humanity. Brad is a realist, business savy and smart. Maybe a part of why Brad is so successful is his emotional intelligence which allows him to read between the lines and effect action in the best interests of both parties. While I was writing a routine email to Brad recently, I viewed the signature to his email – ‘Professional – Pro-active – Personal’. Yes, that is Brad Potter of The Healthlinc – to a tee! We would happy recommend Brad to colleagues whom may wish to utilise his services . I first met Brad Potter a few years ago when he was working as a consultant with Medfin. At that time I was very grateful to have someone who demonstrated an understanding of both my personal needs as well as my business requirements. I continued to do business with Brad at Medfin and always felt that he did more than was required by “going the extra mile” Brad left Medfin to further his career. When he joined Martyn Harris Realty as a consultant it was good to know that I had not lost touch with someone who was as knowledgeable and reliable as he is. Brad has extensive experience with regard to selling and purchasing of dental practices and particularly with his understanding of the many aspects that make a successful dental practice possible. A few weeks ago I decided to sell my dental practice due to ill health and the need to retire. When I contacted Martyn Harris Realty to have my practice assessed for possible sale, I was more than pleased to renew my business dealings with Brad. I had not worked in my practice for more than a year and employed part-time dentists. The analysis of my dental practice was therefore more involved with Brad spending many hours preparing figures that would be of benefit to me and to any potential purchaser. My practice was sold after receiving two signed offers within four days of being put on the market. During the process of the sale Brad once again proved to be one of those exceptional and likeable people who is able to facilitate things and produce great results. I am truly appreciate of his efforts and can highly recommend him. Sean and I want to thank you so much for all your help and support over these past 6 months. When you presented us with the option of selling our practice to Dental Partners in December 2011 we never thought that by March 2012 everything would be done and dusted. Firstly thank you for understanding Yokine dental centre and bringing us the RIGHT offer, and then for making sure from that from the offer to purchase to the transfer of our practice you were with us every step of the way. Your phone calls, emails and knowledge were amazing and I know that there were times I called you late into the night and you took every call, and assisted where you could. Both your financial back ground as well as your knowledge for the dental world gave us the back up and tools we needed to bring this whole thing together. Just to let you know that things have gone really well with Dental Partners. They have ‘taken over’ Yokine dental centre but the good news is that it still feels like ‘our ‘practice. We are thrilled with our decision to sell to them and look forward to be a part of something ‘bigger’ and more fun. You will be pleased to know that my team have also settled in well and enjoying the systems that DP has put in place. Brad, for me highlight of your friendship and support was on the day that transfer took place. It was a funny feeling as the practice was transerferred from one person to another and at that moment 2pm Eastern standard time, nothing happened in our practice to make things feel final or even special. Then you walked in, just to sit there with us, you were so thoughtful with your gift but more than that, you gave us your time and just wanted to be with us at an emotional time. As recent as this last week you have continued to support Sean and I by being a phone call away once again a very BIG thank as you were the one person who really understood our lives over the past 6 months and for me that was priceless. So on behalf of Sean and myself we wish you all the very best for the rest of 2012. I hope it is a good year for you and that you find a few more lucky practices to join the DP team in WA. If you need us to spend time with or speak to another dental practice looking to join the DP please feel free to call us. We only had you to talk to, and that is alot of preasure for one man to cope with, so if we can be of assistance to anyone else, please feel free to contact us. Once again a very big thank for all you have done for myself and Sean we could not have done it without you. Brad’s wealth of experience from his background in banking is undeniable and his understanding of contracts and lawyers is commendable. The transactions were so smooth with no hassles at all! We truly appreciate the amazing services you have rendered us and we look forward to more transactions with you. Selling my practice was a daunting prospect. The journey however turned out to be much better than expected.Thanks to the advice, guidance and excellent exposure in the medical and Allied health market provided by Brad, my practice was sold within one week of being on the market. Throughout the whole process Brad was available for any questions and I felt that he had my best interest at heart. I can highly recommend Brad for anyone that would like to sell a practice. Thanks once again and I am very happy with my purchase, it is one of the best purchases I’ve ever made! Brad Potter from The Health Linc has been of great assistance in my desire to purchase a dental practice. His knowledge regarding business fundamentals in the specific field of interest i.e. dentistry in my instance is profound. His attention to detail and ability to source pertinent information and individuals relevant to a transaction are his particular strong suits. Brad’s variety of experience and knowledge ensures that as a client, I am completely aware of the various aspects of business prior to negotiating a transaction. I would highly recommend both buyers and sellers to Brad so he can facilitate the best outcome for both parties. I look forward to an ongoing business relationship that is fruitful for both Brad and myself. Thanks a lot. I must commend your professionalism and efficiency. You left no doubt in my mind of how good you are in what you do. Keep it up. Looking forward to working with you again soon in more projects. We wish to express our gratitude for the diligent and dependable service provided by Mr Brad Potter. Our Requirements were very simple; we wanted to buy our dream practice. It actually took Brad a year to find me the practice that we wanted. The day I met Brad, I had described to him the kind of practice i was looking for and he straight away understood what i wanted. I kept in constant touch enquiring about practices in the market and he relentlessly with genuine effort sent me the details and information of all the good practices that suited my description. We saw quite a number of practices and since my requirements were precise, I ended up discarding all of them; however he never lost patience and kept up his determination to find me the right practice. Once we found a practice he was very supportive and negotiated a good deal for me. Brad was very patient, supportive and receptive to our negotiations regardless of the time and energy he invested in the deal. He invested a lot of time, energy and effort communicating with my accountants, settlement agents, financiers, insurance agents, providing them with the paper work and information needed. It actually felt like he was my agent rather than the sellers. However buying a clinic turned out to be one of the most enjoyable experiences I have ever had. Brad made it so easy and simple. Brad’s services are certainly praiseworthy and I recommend his services to anyone interested in dealing with the Health Care industry. Brad assisted in every way possible to overcome any conflict that potentially may have risen between the seller and the purchaser, I am most pleased with the way in which the transaction occurred. I have always found Brad to always go the extra mile, the tireless hours that he puts into each transaction, along with his honest approach to negotiations have ensured that we have always had a successful business relationship. Brad has always shown diligence and integrity throughout the sale process and his continuing aftercare service is what has brought us back to using Brad to broker our second transaction. Thanks again Brad. I have dealt with Brad Potter as a buyer on 2 separate occasions. Brad has always gone out of his way to ensure the best outcomes for all parties (while still being a good negotiator). Despite being the buyer I truly felt that he had my best interests at heart as well. Brad clearly knows and understands health businesses. If I was selling my clinic, there is no one else I would trust to sell it. I’ve found that often, agents can be quite secretive, but on both occasions [when I used his services as a business broker] Brad was exceedingly transparent throughout the whole procedure. Although he works for the seller, he also has the buyer’s interest in mind… Brad clearly cares for both the buyer and the seller. Even at the handover, he ensured that both parties were protected, and everyone was happy. I’d thoroughly recommend Brad Potter to anyone requiring a business broker. In May 2010 I decided to purchase my first ever veterinary hospital. The daunting process was to be completed by the 30th June 2010. Brad Potter was recommended to me and his reputation was excellent. I am grateful that I had him organize this purchase as it proved to be a difficult task given the short time frame and the circumstances were also difficult. Brad was professional, reliable, approachable but most importantly positive and tenacious and made things happen. An important attribute for me which Brad displayed was that he was actually considerate and caring to my needs. He did not make me feel at any stage that this was “just another sale”, and instead made me feel that this practice was the purchase of a clinic that best suited my needs. He liaised with appropriate people i.e. the seller, the accountant, the settlement agent and the financer to make this seemingly impossible purchase happen. I have no hesitation in recommending Brad to any seller or purchaser, and I know that I will be maintaining a professional relationship with Brad for the length of my career. I would like to express my sincerest appreciation for the high level of professionalism that you provided during the purchase of my new practice. I was really impressed with your no BS approach and efficiency, and your level of experience is obvious. Dealing with you was a great experience, and I just hope I wasn’t a difficult customer for you. Also, I’m very glad that you are still young, because I know that I will require your services in the future. Please stay healthy and happy. The Health Linc is accredited with the Australian Institute of Business Brokers. 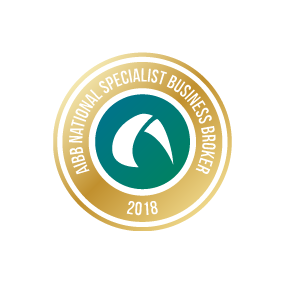 AIBB Business Brokers have the training, knowledge and experience to help you achieve your objective of obtaining the best possible price and under the best possible terms. For both buyers and sellers, using an AIBB Business Broker will mean having an experienced, knowledgeable professional representing you in your transaction. You will leave the transaction confident that you got the very best deal, and that the whole process has been handled and managed properly from start to finish. 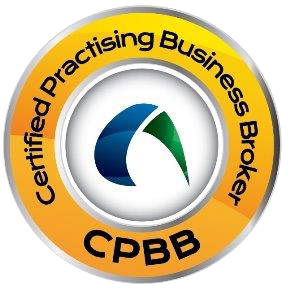 Brad Potter is a Certified Practicing Business Broker (CPBB). The CPBB qualification is the most fundamental qualification required to operate as a business broker. 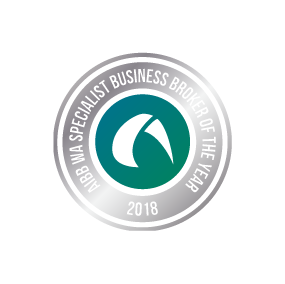 Those who pass the course are able to operate under the AIBB Certified Practising Business Broker accreditation and use the ‘post-nominals’ CPBB. If you want help selling or buying your healthcare practice in WA, choose the industry experts at The Health Linc. Contact us for a confidential discussion about your needs.